In the early centuries of the Christian era, the Jainas constructed stups adorned with railings and gateways with carved figures and pillars. The image if a Tirthankara from Lohanipur dating back to the Mauryan period is one of the earliest Jaina figures. The Hathigumpha caves of kharvela and the Khandagri and Udaigiri caves of Orissa contain early Jaina relics. During the Kushana period, Mathura was a great centre of Jaina art. Mathura was a great centre of Jaina art. Several votive tablets with the Tirthankara in the centre, were produced. The practice continued throughout and a number of Jaina images were made during the Gupta period and afterwards. The Gigantic statues of Bahubali (called Gomateshvara) at Shravanabelagola and Karkala, both in Karnataka, are real wonders. The Jaina temples were constructed at all the places of pilgrimage. The Temples at Ranakpur, Near Jodhpur in Rajasthan and Dilwara temples at Mount Abu are the products of superb craftsmanship. The Jaina Tower in the fort of is another special of architectural engineering. Innumerable manuscripts in palm leaves were written down and some of them were painted with gold dust. These gave rise to a new school of painting known as the western Indian Schools. Jainism has played a very significant role in the development of new languages, Jaina philosophies, Jaina Architecture, paintings and sculptures in India. It never became a dominant religion, nor was it embraced by large number of people and never crossed the frontiers of India. Jainism was the first serious attempt to mitigate the evils of the Varna order and ritualistic Vedic religion. Jainism also contributed much to lexicography, poetry, mathematics, astronomy, astrology and political thought. The Jainas composed the earliest important works in Apabhramsa and its first grammar. The contributed to the growth of the religion languages a such as Tamil, Telugu, Hindi, Kannada and Rajasthani. Among the Jaina writers, the most important were Bhadrabhu (Kalsutra), Siddhsena, Divakara, Siddha Hemanchandra (parisistha parvan), Nayachandra and Mallinath. The Jainas wrote narrative literature, kavyas, novels, dramas and hymns. Caves: Hathigumpha,Baghagumpha, Udaygiri and Kandagiri (Orissa). 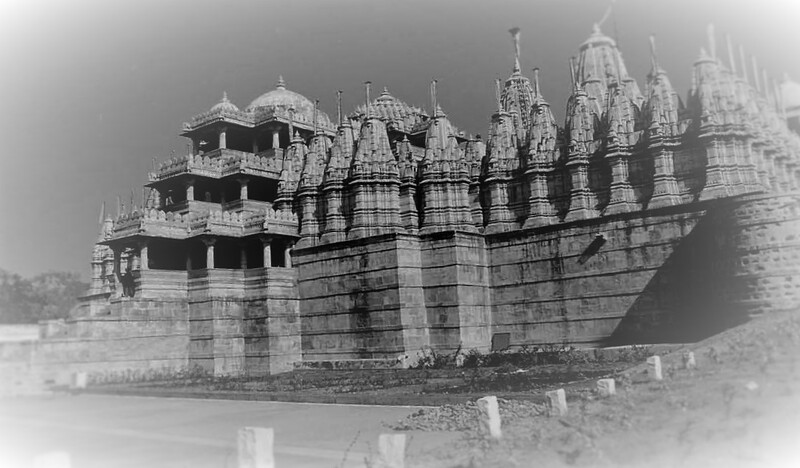 Temples: Dilwara temples at Mount Abu, Vimalavasahi and Tejapala temples. Girnar and Palitana temple (Gujarat). 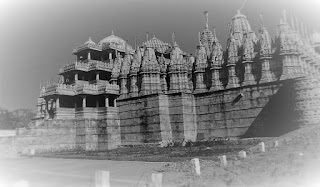 Pavapuri and Rajagira temples(Bihar). South India The Kadamba and Ganga dynasty, Amogavarsha (Rashtrakuta dynasty), Siddahraj jai Singh and Kumara pala, (The Chalukyas/ Solankis). North India Bimbisara, Ajatshatru and Udayin (Haryanka), Nandas, Chandragupta Maurya, Bindusara and Samprati (Mauryan),Pradyota (Avanti), Udayan (Sindhu-sauvira), Kharavela (Kalinga).